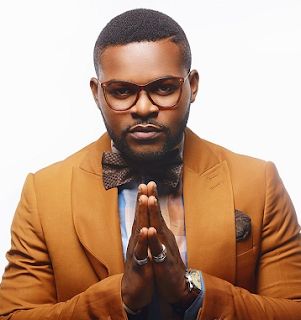 Nigerian entertainer Falz, born Folarin Falana is wrapping up a great year with a concert that will shake Nigeria to its roots. The multi-talented lawyer-turned-rapper has announced he’s planning to host a 7-hour live concert that will reach at least 100 million fans real time. Speaking on the event, Falz expressed his excitement towards the incoming event: “Some people are used to seeing my comedy skits on social media. Others are familiar with my music, while those from way back know me as a lawyer. There are those who are familiar with my multiple personalities and career. The idea behind The Falz Experience is to bring all of these together, for the benefit of all my fans. It’s a music concert that will incorporate different elements of my art, with support from the many colleagues I have collaborated with”. It was indeed another moment of pride for Nigeria few days back as one of the country’s entertainment custodians, Sheyman walked tall in the presence of top music stars and industry decision-makers in America as he smiled home with the Independent Artist of the Year in the Africa category at the recently concluded Hapa music award in California. As if that wasn’t enough, another icing came on Sheyman’s cake as he was once again honoured by another international award. At the popular Nigeria Entertainment Awards he was honoured as the ‘2017 Best Sound Engineer. Even at AFRIMA Sheyman won a special recognition award as a trail blazer in the Nigeria entertainment community especially considering his massive contributions in exporting Nigerian sound to the other parts of the world. Since assuming responsibility as one of the industry’s finest music makers, he has shared professional credit with several industry superstars including Wizkid, Psquare, Jaywon, Olamide, Kiss Daniel, Iyanya, Jah Bless, Pasuma, Joe El, Bigiano, Brymo, T,W.O, and several others having attained a certified hit status for songs like Kukere, Woju, Feeling This Feeling, Joor Oh, Don’t Touch and Shayo.